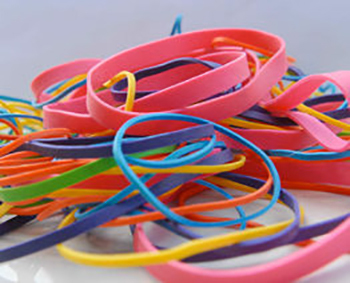 These bands are made from a synthetic material that contains no natural latex rubber. They are designed to help prevent allergic reactions in individuals who are sensitive to the enzymes in latex. 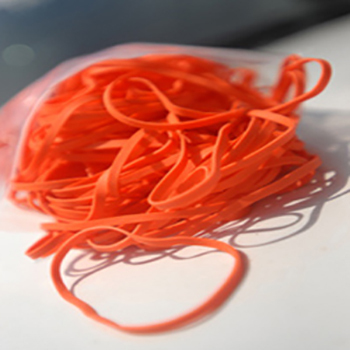 Used primarily in the medical and pharmaceutical field, they are also great for schools, food service companies and for anyone concerned with exposure to latex. Custom sizes and colors available with a 50 lb minimum. 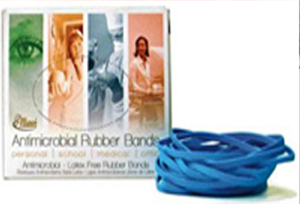 Same great attributes of a non latex band with the added protection of an antimicrobial component.